AirAsia is expanding its reach in ASEAN with the formation of a joint venture (JV) to establish a low cost carrier in Vietnam. In a filing to Bursa Malaysia (formerly Kuala Lumpur Stock Exchange) on March 31, the airline said its unit, Air Asia Investment Ltd, has signed a shareholders agreement and a share subscription agreement with Gumin Company Ltd, businessman Tran Trong Kien, and Hai Au Aviation Joint Stock Company (HAA) to set up the LCC. The JV will be formed by HAA, which has a paid-up charter capital of VND one billion (US$4.38 million). AirAsia Investment will hold a 30% stake in the JV Company, Gumin 69.9% and Tran Trong Kien, the remaining share. AirAsia said the JV would require a capitalization of VND one trillion (US$43.8 million). The airline will contribute its share of RM58.2 million (US$13.15 million) for the 30% share, which it will raise through internal funding. 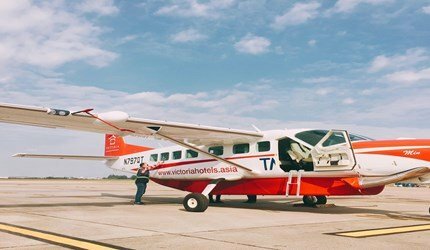 “The rationale for the JV is to be an airline in Vietnam, which offers an affordable but high quality airline service to Vietnamese and foreign tourists by leveraging the best-in-class LCC business model that is expected to give the Vietnamese population a greater choice as well as spur overall economic growth,” said AirAsia. The airline added that Vietnam’s geographical location will enable the JV to fly to underserve domestic and international routes. Its primary focus is to provide connectivity to key cities in Vietnam, as well as to fly internationally to ASEAN, China, Korea and Japan from three major hubs namely Ho Chi Minh, Hanoi and Da Nang. The JV is subjected to regulatory approvals, and AirAsia expects it to commence operations by early 2018.